Reshaping the Euro-Mediterranean relations became a necessity in the aftermath of the Arab Spring in several South Mediterranean Countries (SMCs), including Egypt. 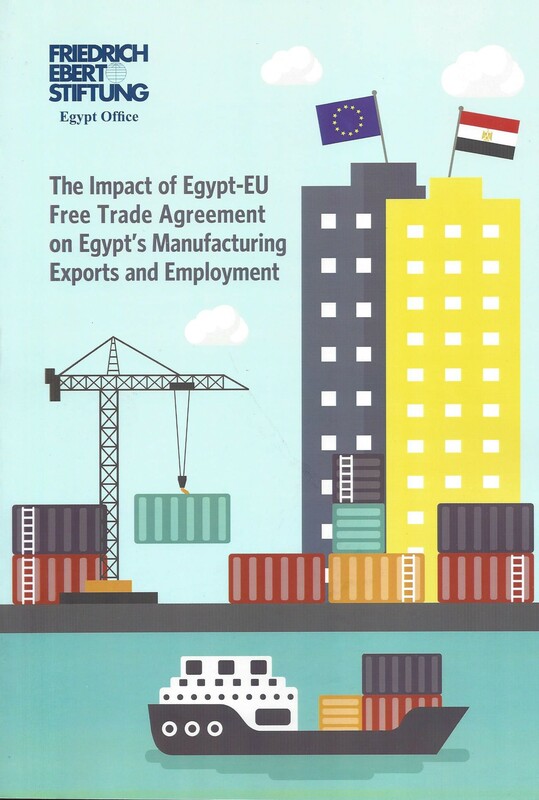 The objective of this paper is therefore to study the impact of Egypt-EU Association Agreement on the manufacturing sector and to point out industries with strong potential for export growth and job creation. We also analyze opportunities for enhancing Egypt-EU investment and trade and –eventually- paving the way for a Deep and Comprehensive Free Trade Agreement (DCFTA) in light of the urgent need for social justice in the region. This publication is available in English. The Friedrich-Ebert-Stiftung Egypt Office in cooperation with the Ministry of Environment and CEDARE hosted a Sustainable Transport Egypt 2018 Conference on Electric Mobility and the Advent of Electric Vehicles which took place in Cairo on 24th and 25th of October 2018. 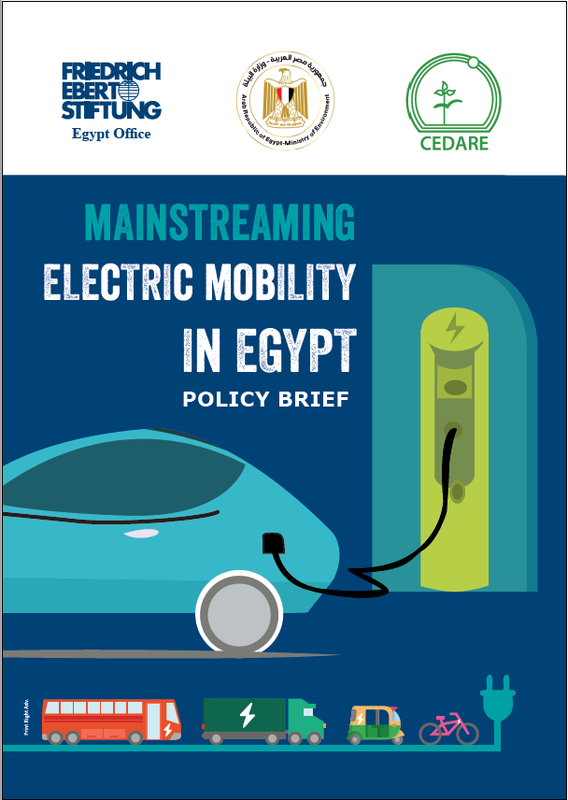 This policy brief aims to consolidate the various relevant policies and initiatives that cater to EV deployment in Egypt to date and provide recommendations for the way forward. This has been developed in a participatory manner through consultations with stakeholders of the public and private sector. This publication is bilingual (Arabic and English).